Ryan was born in Neosho, MO. He graduated from Neosho High School (2007). Ryan attended the University of Missouri for undergraduate study (2011), where he earned his degree in business, with an emphasis in finance. He continued his education at Mizzou, graduating from the School of Law (2014), where he earned the prestigious CALI Excellence for the Future Award (highest scoring student) in elder law and evidence. 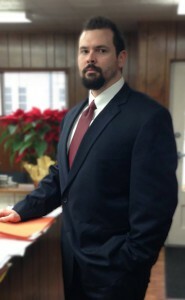 Ryan practices as an attorney in Newton, McDonald, Jasper, Barry, and Lawrence counties. 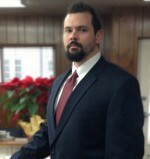 He focuses his practice on family law and criminal defense. In particular, Ryan concentrates on cases where child custody and support are contested issues. Ryan lives in Neosho. He is a fan of the Kansas City Chiefs and the Missouri Tigers. Ryan also enjoys business, finance, and investing.